We have received 34 reviews of The Incredible Dadventure . You can add a review or scroll down to read reviews. To send in your review of The Incredible Dadventure , please fill in the info below and click the button labelled Send Review Now. Reviews will be checked by our team before they appear on the website. Your last name will not appear on the site, but we need to know who you are in case you win a prize! 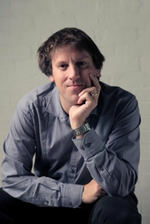 Dave Lowe taught English for four years in a high school for disadvantaged kids in Istanbul, and has also worked in Malaysia and Australia. He is married with two daughters. When he was younger, Dave also had a pet hamster, but he didn't talk so much. In his spare time he likes to play the harp, juggle chainsaws, and tickle trout. Actually, none of that is true, but it’s a lot more interesting than his real answer, which is: playing football, reading, and losing to my wife and daughters at cards. Ten days, ten tasks - can Holly complete her very own Dadventure? Holly's dad is an explorer, having amazing adventures all over the world, while Holly is stuck at home with her mum, her baby brother and the dog. Now Dad's on a new expedition and he'll miss her tenth birthday. She's not happy - until she finds out that he's planned a special treasure hunt, just for her. She has ten days to complete ten tasks - some silly, some tricky and some downright terrifying. Maybe life at home isn't quite so boring after all. Fact 1: Dave’s favourite word is “sausages”. Fact 3: Dave lives in Brisbane, Australia. I loved this book. It was by far my favourite and kept me entertained right until the end. Such a clever dad who knew how to help his daughter. I couldn't wait for each letter/clue to find out what the next adventure would be. Mrs Taylor gave The Incredible Dadventure 5 out of 5 and now plans to read Amelia Fang and the Barbaric Ball by Laura Ellen Anderson. It was very funny and adventures. Alfie gave The Incredible Dadventure 4 out of 5 and now plans to read Me and Mister P by Maria Farrer. I liked this book because it was funny and I also like it because instead of a real letter it was based on dares and there was 10 and a message . Savannah gave The Incredible Dadventure 4 out of 5 and now plans to read Knighthood for Beginners by Elys Dolan. I REALLY enjoyed this book and I wish I could be Holly. Her dad is an amazing man it seems and he is a very lucky man too! My favorite task was task 10 because the clue was 'Break a leg and have some fun' and it was definitely right. I would suggest this book for 5 - 10 years of age. I guarantee that you would love this book if you read it and I am NOT lying! Well done Dave Lowe for such a success. Dave, which was your favorite task? Madi gave The Incredible Dadventure 5 out of 5 and now plans to read Amelia Fang and the Barbaric Ball by Laura Ellen Anderson. This book was a bit boring but in the end it was a bit exiting.over all it was an alright book. Isabelle gave The Incredible Dadventure 2 out of 5 and now plans to read Me and Mister P by Maria Farrer. He liked adventures all over the world .I liked the mum because she was kind and worried about her child. Ishbel gave The Incredible Dadventure 5 out of 5 and now plans to read Amelia Fang and the Barbaric Ball by Laura Ellen Anderson. I like the book because I like how thee dad makes an adventure for Holly and she has 10 tasks but she also has 10 days to finish them.It also makes me visualise and I find the illustrations funny like her 9th birthday card!This book is fun and it makes me laugh and I wish this could happen in real life.My favourite part was when the mum broke the world record for the most tuts in one hour!I would recommend this to anyone who likes adventures! Urooj gave The Incredible Dadventure 5 out of 5 and now plans to read Me and Mister P by Maria Farrer. Hiya gave The Incredible Dadventure 5 out of 5 and now plans to read Amelia Fang and the Barbaric Ball by Laura Ellen Anderson. I liked all of the tasks in the book and how they were in steps. The steps were in every single chapter. Millie gave The Incredible Dadventure 4 out of 5 and now plans to read Me and Mister P by Maria Farrer. We loved this book so much, it was so funny and interesting. It made us want to read on we would recommend to the Queen. We believe it taught us a message of you can do anything if you just try. We absolutely loved it! Ruby, Evie, Dylan, Zaa, Zuzanna and Matilda gave The Incredible Dadventure 5 out of 5 and now plans to read Amelia Fang and the Barbaric Ball by Laura Ellen Anderson. I like this book because it is about adventures .And I like adventures.I've finished all the books. Rian gave The Incredible Dadventure 5 out of 5 and now plans to read Amelia Fang and the Barbaric Ball by Laura Ellen Anderson. It was a good book but at the end it started to get a bit boring because part of it was similar to the other tasks that Holly had to complete. I would recommend this to most of my friends though. Nadia gave The Incredible Dadventure 4 out of 5 and now plans to read Me and Mister P by Maria Farrer. I love a good adventure. Who doesn't? I wish I could have a dadventure. Since I am a Cub I love adventure and know what it is like at the start at an adventure. Sometimes its nerve racking sometimes exciting. Sometimes you wait for the day and on the day you want to leave it. Holly was brave for not giving up even though she was injured and had cramps.How did she go down the mountain with a walking stick[tree branch]? Yusuf gave The Incredible Dadventure 5 out of 5 and now plans to read Amelia Fang and the Barbaric Ball by Laura Ellen Anderson. Dadventure is a really fun and entertaining book .It has incoraged me to be adventurous ????? Lily-Rose gave The Incredible Dadventure 5 out of 5 and now plans to read Knighthood for Beginners by Elys Dolan. I think this book is a amazing book because it is funny and sad at the same time and its very adventurous. charlotte gave The Incredible Dadventure 5 out of 5 and now plans to read Attack of the Alien Dung! by Gareth P Jones. 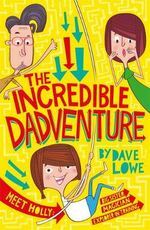 Your new book(The Incredible Dadventure)is really exciting,funny and adventurous.I like that your book has a huge amount of detail.I hope your book makes everyone who reads it enjoys it. Serea gave The Incredible Dadventure 5 out of 5 and now plans to read Knighthood for Beginners by Elys Dolan. The book was good because I liked all the tasks and it was interesting because her Dad was in a different part of the world but was still phoning her every day and it felt like he was actually with them but he wasn't. Ruairi gave The Incredible Dadventure 5 out of 5 and now plans to read Amelia Fang and the Barbaric Ball by Laura Ellen Anderson. The incredible dadventure is an amazing book that everyone should read. This girl called Holly misses her dad because he is on and expedition. Her dad is going to miss her 10th birthday! Is there exploration in her village? Read the book and you will see! Evie gave The Incredible Dadventure 5 out of 5 and now plans to read Greta Zargo and the Death Robots from Outer Space by A F Harrold. Zac gave The Incredible Dadventure 5 out of 5 and now plans to read Amelia Fang and the Barbaric Ball by Laura Ellen Anderson. I love this book! It is such an action packed adventure, Holly's mum reminds me of my mum being so over protective. I would rate this book to anyone, from a 2 year old to a fully grown adult. If I am allowed, I might buy this book and the mumbelievable challenge. Some of the challenges Holly does in this book are amazing, but some I wouldn't dare to do. Maisy gave The Incredible Dadventure 5 out of 5 and now plans to read Knighthood for Beginners by Elys Dolan. ka gave The Incredible Dadventure 5 out of 5 and now plans to read Attack of the Alien Dung! by Gareth P Jones. I found this book really funny! Holly's mum reminds me of my nana - because she is way to over protective, I recommend this book to anyone in the world. Lily gave The Incredible Dadventure 5 out of 5 and now plans to read Amelia Fang and the Barbaric Ball by Laura Ellen Anderson. Dave Lowe I really loved The Incredible Dadventure because I thought Holly was very adventurous. Also I loved how creative you were when writing and my favorite part was when Holly persevered and climbed up Harold's Peak. Last but not least I hope you make more of these Dadventure books. Emily gave The Incredible Dadventure 5 out of 5 and now plans to read Amelia Fang and the Barbaric Ball by Laura Ellen Anderson. Do the characters have to have huge heads? and it was boring because it was only about a girl that hasn't seen her father for a long time. Then he calls and gives his daughter an adventure and it doesn't have danger on the book. João gave The Incredible Dadventure 3 out of 5 and now plans to read Amelia Fang and the Barbaric Ball by Laura Ellen Anderson. I found this book incredible, as it is extremely funny. I liked Holly's dad because he expects people to do dangerous tasks! Francesca gave The Incredible Dadventure 5 out of 5 and now plans to read Knighthood for Beginners by Elys Dolan. this is amazing!this book is very adventorous.I did like this book!my favourite chareter is holly because she trys everything. riya gave The Incredible Dadventure 5 out of 5 and now plans to read Attack of the Alien Dung! by Gareth P Jones. I thought the book needed to explain more about the other characters. It only has four characters in the book. I wanted to find out more about them. I liked how the girl didn't like the old man but things weren't as they seemed. Isaac gave The Incredible Dadventure 3 out of 5 and now plans to read Amelia Fang and the Barbaric Ball by Laura Ellen Anderson. I enjoyed this book a lot and I miss reading it even though I finished it one day ago because every turn of a page is the start of a new adventure and a massive exciting one too. If I was to judge out of the three books that I have read so far then it would definitely be this book by 100000 stars!Thank you Dave Lowe for writing this incredible,fantastic and amazing book!!!!!! Ben gave The Incredible Dadventure 5 out of 5 and now plans to read Knighthood for Beginners by Elys Dolan. I loved this book very very much. Every page is full of adventure and every sentence made me want to read on. I am also called Holly however I wish I was as courageous as the Holly in this book. Also, I would definitely rate it 5/5 because I love adventure stories and this one was especially good because at the end of each chapter, I tried to work out what was going to happen next. Holly gave The Incredible Dadventure 5 out of 5 and now plans to read Attack of the Alien Dung! by Gareth P Jones. The incredible dadventure is an amazing book and i am just gobsmacked at how cool the book is, and also it was really funny. Maiya gave The Incredible Dadventure 5 out of 5 and now plans to read Amelia Fang and the Barbaric Ball by Laura Ellen Anderson. A lovely adventurous book.I wish I had a dadventure to complete! Ana Maria gave The Incredible Dadventure 5 out of 5 and now plans to read Amelia Fang and the Barbaric Ball by Laura Ellen Anderson. Milan gave The Incredible Dadventure 5 out of 5 and now plans to read Me and Mister P by Maria Farrer. Elera gave The Incredible Dadventure 5 out of 5 and now plans to read Greta Zargo and the Death Robots from Outer Space by A F Harrold. This is a really fun book to read. It makes me think carefully about Holy's Dadventure. I found parts of the book rather surprising and I kept wondering what was going to happen next. I would recommend this book to my friends. Patrick gave The Incredible Dadventure 5 out of 5 and now plans to read Attack of the Alien Dung! by Gareth P Jones.